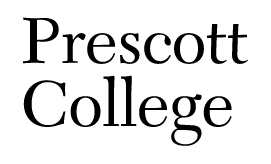 In line with the mission of Prescott College to educate students of diverse ages and backgrounds, to understand, thrive in, and enhance our world community and the environment, it has become increasingly important to express one clear and consistent visual identity. Consistent use of the College's visual identity adds to each unit’s value while reinforcing the collective value of the institution. You will find helpful templates, tip sheets, and the full brand guide on this page. The templates have been designed to provide easy and accessible tools to support your ability to immerse and utilize our brand in your daily operations and communications. Therefore, the goal is to provide you with the ability to self-create and self-generate your needs for printed and digital collateral. The Marketing team is here to support you when you have questions or require consultation on special projects. Please note, all special projects will require a minimum two-week advance notice and may take longer to complete depending upon the nature of the project and resources available. Please submit all questions and special project requests to marketing@prescott.edu. You will find references to the new email signature template included in the branding guide, tips on how to become a brand ambassador, and the tips and shifts guide. The IT and Marketing teams are still working on an easy process for all faculty and staff to generate the email signature in a semi-automated manner. Stay tuned for updates in late summer/early fall.